eToro has announced an advertising partnership with seven Premier League Football clubs. The deal was settled with Bitcoin and represents one of the largest blending of cryptocurrencies and sports to date. It comes immediately after CoinDeal signed a partnership with the Wolverhampton Wanderers to put their logo on the Wolves’ sleeves. In addition, the Sacramento Kings have continued their crypto exploration by announcing that they are mining Ethereum in their arena’s basement and the Mavs expressed interest in accepting Bitcoin as a payment method. As great at 2018 has been for the blending of Cryptocurrencies and sports, 2014 was an even bigger year. Much like 2018, 2014 was a bear year that immediately proceeded what was at the time Bitcoin’s biggest bull market in its history. That led to a lot of people and companies with a bunch of cash that was rapidly disappearing. Advertising is a great way to bring in new people and so we saw a rush of cryptocurrency advertising in sports, unlike anything we had seen before. How successful were they? Let’s take a look. Likely the first blending of sports and crypto was one that would have brought warmth to John Candy’s heart. 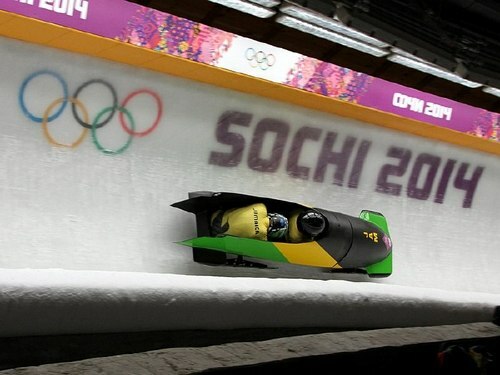 After raising $30,000 in Dogecoin, the Jamaican Bobsleigh team was able to afford the trip to the Sochi Olympics. While it lacked the later overt advertising of our next example, it did provide immense goodwill for the then-new cryptocurrency and built up legitimacy and goodwill for it. It also had a surprising affect on the price, with Dogecoin raising 50% against bitcoin in the waning days of the bull market of late 2013/early 2014. It was undoubtedly a huge success as Dogecoin elevated itself from one of the many also-ran cryptocurrencies to one of the major ones. A title it held for years and arguably still has some claim to today. Not bad for a currency that started as a joke and came bundled with a horrible distribution plan that would have killed the currency had it not been for the invention of merged mining. The next major sports sponsorship was also funded by the Doge community. 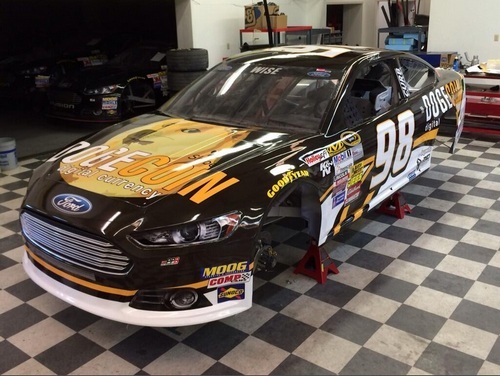 Started by a then 16-year-old Doge fan, the Doge Reddit community raised $55,000 worth of Dogecoin to wrap Josh Wise’s #98 car in their logo. NASCAR is an interesting sport for sponsorship. It is so ingrained into the sport that people root for the corporate sponsors almost as much as they do for the drivers. It was fun rooting for the “Jack Daniels” or “Budweiser” cars when they were still active. The same is true with Josh Wise’s Dogecoin car. Cryptocurrency advocates didn’t care all that much about Josh Wise, but they (even those who didn’t hold Dogecoin specifically) rooted for him anyway, with the hope that the famous Shiba Inu’s face would be on national TV in the winner’s circle at Talladega’s Aaron’s 499. He finished in 20th place with 24 points. But it was nevertheless a huge success for the cryptocurrency. Not only did the sponsorship get major play in mainstream media outlets, but it also got a die-cast collectable re-creation and inclusion into the video game NASCAR 2014 through a downloadable content add-on. For the relatively cheap price of $55,000 they got exposure on a national stage, immortality in the form of a die-cast collectible and made video game history. While 2014 from late January on was a major bear year for all cryptos, Dogecoin did see a brief but significant increase in price and volume in the weeks leading up to the event as media coverage intensified. It didn’t last, but neither did the sponsorship. And sponsorships don’t have to reverse the trend of the entire cryptocurrency market to be considered “successful”. It had a far larger affect than buying $55,000 would have had on the market and therefore, has to be considered effective. Besides, people still talk about it today, a search on Twitter showed 12 related tweets this month alone. Not content to let Dogecoin grab all the sports-sponsorship fun, Bitcoin exchange giant BitPay got into the game that same year. In an incredible act of goodwill, BitPay partnered with ESPN to rename the Beef O’ Brady Bowl the “St. Petersburg Bitcoin Bowl” (as opposed to the BitPay Bowl). The stadium was outfitted with Bitcoin ATMs, Bitcoin-accepting vendors and BitPay worked to turn St. Petersburg’s downtown into a Bitcoin haven. The terms of the deal weren’t disclosed but Fortune suggested that it may have been in the seven digit range. Initially, the plan was for it to be a three-year event. But after just one year, the partnership abruptly ended. For that reason alone, it can’t be called a success. Had it been an unmitigated success, then BitPay and ESPN would have undoubtedly continued the venture. That said, it did have some successes. Speaking to BitPay through email, they tell me that they did see an increase in activity immediately preceding the game, but they felt that 2014 was just too early for Bitcoin and mainstream retailers. The St. Petersburg Bitcoin Bowl took place in December 2014, a major bear market for Bitcoin. That undoubtedly must have contributed to the partnership ending. Even still, the Bitcoin bowl was likely the first exposure to the cryptocurrency for millions of college football fans. While it fell short of the average bowl game ratings for that year sitting at 3,270,000 viewers, compared to the median viewers of 3,995,000 (I used median as opposed to mean for this figure because the three playoff bowl games get much higher ratings than the rest of the bowl games). It was significantly improved compared to the year before it was named the Bitcoin bowl, with the 2013 Beef O’ Brady bowl pulling in only about 1,900,000 viewers. Much of that can be attributed to the slightly more interesting teams taking part in the game and the increased interest in bowl games following the creation of the college football playoff system, even though the Bitcoin Bowl was not a part of those playoffs. However, the next year the ratings dropped to 2,400,000 as the bowl temporarily went forward without a named sponsor. Regardless of the mitigating circumstances, the Bitcoin Bowl was the highest rated version of the St. Petersburg Bowl according to SportsMediaWatch and remains so. How much that had to do with the excitement crypto fans got out of watching the “Bitcoin Bowl” can’t be measured. Certainly the teams playing, the time of airing and a continual decrease in television ratings across the board contributed as well, but it is something Bitcoin fans can hang their hat on. The St. Petersburg Bowl, now named the Gasparilla Bowl and moved to Tampa, was at its best when it was sponsored by Bitcoin. On to. . . 2018! And then we wouldn’t see any major sports crypto partnerships again. There were a few times when sports teams took interest in Bitcoin, like when the Sacramento Kings started taking Bitcoin as a payment option, but nothing major initiated by the crypto community. That is, until this year. Flush with cash after 2017’s bull run, companies are sponsoring some major teams and by proxy, will have their logos at major events. Will it last this time? Will eToro and CoinDeal find enough success that the deals finish out the decade and continue into 2020? The health of the cryptocurrency market will likely be a determining factor, as it seemed to be in 2014. But the fan’s reaction and the increase in customers as a result of the advertising will be the most important factor. And perhaps the 2018 Crypto-sports relationship will be the start of a long, fruitful marriage, rather than the passionate but short-lived affair of 2014.